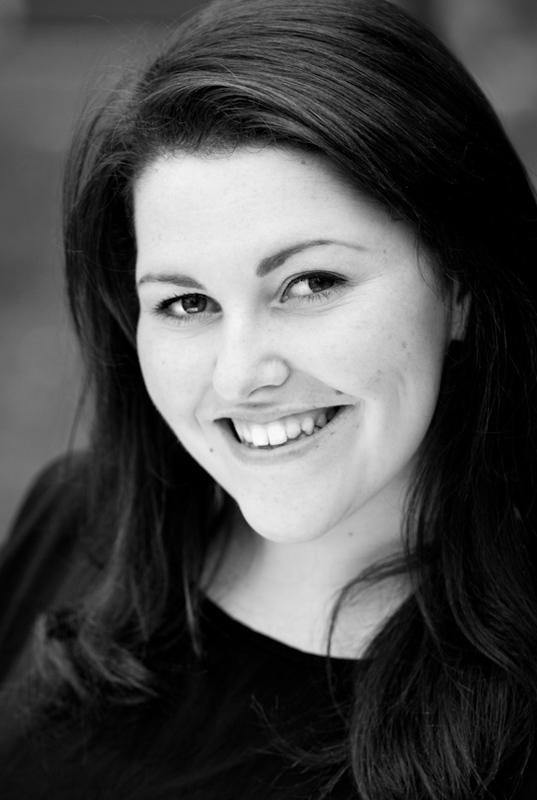 Chloe has previously starred as Tracy Turnblad in Hairspray, performed in Chess at The Royal Albert Hall and in Les Miserables at the Queen’s Theatre. She is back on the West End stage from 12th December when she joins the cast of WICKED at the Apollo Victoria Theatre. It was apparent at an early age that Chloe had a career lined up on the stage, as at the age of six, she would captivate an audience, singing Karaoke versions of Think Twice and The Greatest Love of All at a local venue. Since attending theatre school in Cornwall and graduating from the Guildford School of Acting, Chloe’s career has continued to blossom, and I am sure that she will be fabulous in Wicked. Chloe recently took time out to answer a few questions about herself, her career and of course Wicked! When you were a child your mum worked in a pub in a village near Truro in Cornwall, where at the age of 6, on Karaoke nights, you used to sing Whitney Houston and Celine Dion songs. Which were your favourite songs and what did it feel like singing in front of an audience? We used to have a Karaoke man called Dexter Love who would dress up as characters such as Bob Marley, Mr Motivator and Mick Jagger, he was hilarious! I used to sing Think Twice and The Greatest Love of All but I would get scared of the high notes at the end and stop before I got to them! I loved it though, I’ve always liked being in the spotlight. You were inspired at the age of 8 when you saw Elaine Paige on the CATS DVD. Was there a particular song that you liked and what was it about her that inspired you? I always knew I wanted to be a singer but knew I didn’t want to be a pop star, so when I saw the CATS DVD and saw Elaine Paige singing Memory, I knew that this is what I wanted to do. Sing, Act and Dance all at the same time whilst being a character. My love for musical theatre started there and then! While at the Playrite Theatre School in Cornwall, you performed in their productions of Les Miserables, Summer Holiday and West Side Story. What are the highlights of your time in these shows? Playrite was such a brilliant company, they really did their best to get us ready for the real world of Musical Theatre by being as professional as they could. I did Les Miserables when I was 14 and I played Factory Girl, but also covering Fantine and Madame T. My highlight would have to be the rehearsal process, learning all the music and making so many life long friends! Summer Holiday was such fun to be a part of. We performed it at the Minack Theatre which is an outdoor theatre in Cornwall, built into the side of a cliff and the backdrop is the ocean. It is absolutely stunning and such a great venue to perform in. Although we did get rained off once. You can’t do Summer Holiday when it is pouring down with rain! You subsequently trained at the Guildford School of Acting. What are some of your favourite memories of that time? The amazing parties?! Haha. Only kidding. It would have to be when we started doing public performances at the end of the second year. It was so nice to put everything we had learned in the first 2 years of training into practice. It made us all realise how much we had all improved since we started. While training you had the opportunity to perform in Chess in Concert at the Royal Albert Hall. Can you describe that experience? Well I had already booked tickets to see Chess because I have a slightly unhealthy obsession with Idina Menzel, so when I was asked to be in the West End Chorus I couldn’t believe my luck! I think I actually cried a bit! Everything about the experience was just incredible. When we first sang everything through with the orchestra and the full cast I was in such awe. Adam Pascal blew me away. Its definitely an experience that will be with me forever. Before graduating you were lucky enough to be cast in Hairspray as Tracy Turnblad at the Shaftesbury Theatre. What was your reaction when you found out you had got the part? Well it was April Fools Day when I found out so I didn’t quite believe it at first. Once I realised it was no joke, me and my very close friend and housemate (Tracey Penn) just broke down in tears, before running to our friend’s house down the road. When they answered the door, they thought we’d been burgled because we were in such a state! That night we had a huge party at our house. It is a day I will never forget. What was it like making your West End debut as a leading lady? Terrifying!!! But also the most amazing thing in the whole entire world. How did you cope with suddenly being put into the media spotlight as Tracy? I was given a very good piece of advice about the internet before I started in Hairspray. To not read any of the forum posts about myself, or the YouTube comments of videos that I was in. I took this piece of advice and stuck to it. The reason being, although I am not a very sensitive person, if I read ten good comments and one bad one, the only one I would remember would be the bad one. It isn’t worth putting yourself through it. After Hairspray you joined Les Miserables in the Ensemble. What was it like joining such a different style of musical to Hairspray? With Les Miserables being my first big musical when I was younger, it was another dream come true to be in it in the West End and playing the same role too. I loved playing Factory Girl because it was such a different character to Tracy. She is so mean! I will be honest though, I found the lack of dancing and the lack of smiling very tough! From December you will be appearing in WICKED at the Apollo Victoria Theatre. Where were you when you found out that you were going to be in the show? I was sat at home on my sofa with my boyfriend. I screamed the place down. I have seen WICKED eleven times and even had an Emerald City birthday party for my 21st whilst at GSA. Anyone who knows me, knows that it is my favourite show of all time. I am a self-confessed WICKED geek. Maybe I shouldn’t admit that now! What do you think makes WICKED such a successful musical? The music and the orchestrations are just phenomenal. It never fails to move me. Especially the song For Good. The lyrics in that song are some of the most beautiful lyrics ever written. I think it is a song that people everywhere can relate to. Another reason I think it is so successful is because the connections between the show and The Wizard of Oz are just so clever. When I first watched it I actually gasped when I found out about Boq being the Tinman and Fiyero being the Scarecrow. Just genius! One more thing (although I could go on for hours) is the fact that it is such a spectacle. The set and costume design is some of the best I have ever seen. Do you have set routines that you like to do on the day of a show? In Hairspray I had a routine which was that I had to kiss Liam Tamne and Adrian Hansel (my Link Larkin and Seaweed) before I got tucked into my Baltimore bed. If either of them were late for beginners, we would go up late because I had to kiss them before I would get into my opening position! Ha! If you could perform on stage with anyone of your choice (past or present), who would it be? I would absolutely love to perform a duet with Jennifer Hudson. She is such an inspirational woman and her voice never ceases to amaze me. As well as being on stage you have also appeared on television on the Paul O’Grady Show, Strictly Come Dancing and a West End Christmas Celebrity Special of the Weakest Link. In order to further your TV career, if you could choose a TV soap to appear in which one would it be, and which character? I would love to be in Eastenders. I watch it religiously and would love to play a bit of a loveable rogue character, like Stacey Slater. I would want to make a big impression with a juicy storyline. Other than soaps, I would like to play a housemaid in a period drama like Downton Abbey. Do you have a favourite Diva and if you had to choose just one, which would be your favourite song of all time? Celine Dion is just fantastic. I like that she is a bit crazy too. I have watched quite a bit of her backstage footage and she looks like so much fun. My favourite song of hers is probably It’s all coming back to me now, it’s so dramatic! When not acting or singing, what do you like to do on a day off? I love a good box set. 24 is my all time favourite. I have a huge crush on Kiefer Sutherland. I also like to go to the gym when I’ve got a spare couple of hours. A little bit crazy, a bit of a geek, happy and I hope they’d say honest, kind and loving! What message would you say to any young person thinking of a career in the performing arts? Be true to yourself and believe in yourself. And most importantly, keep your feet firmly on the ground however fast it may be going from around you. Never forget that you were just a kid with a dream once.